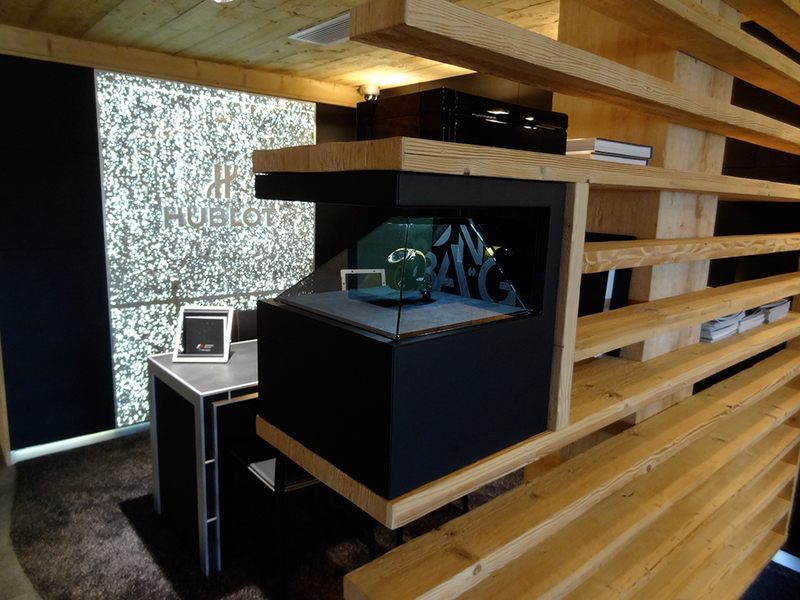 Holo 24/24: 200 watches in a holographic display cabinet at the WHotel in Verbier. 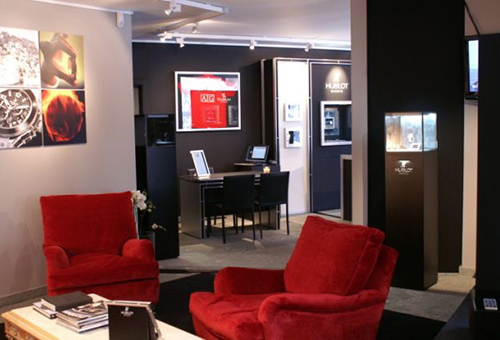 Why display a single product and run the risk of theft when you can present the entire collection without any risk at all? 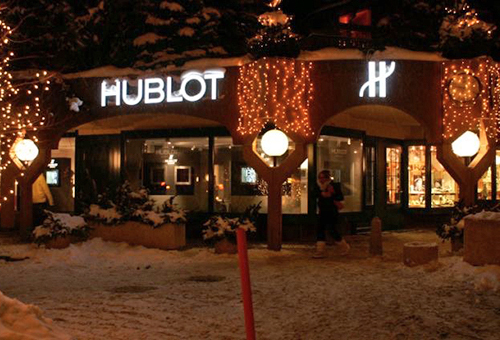 No need to change products, they change themselves! 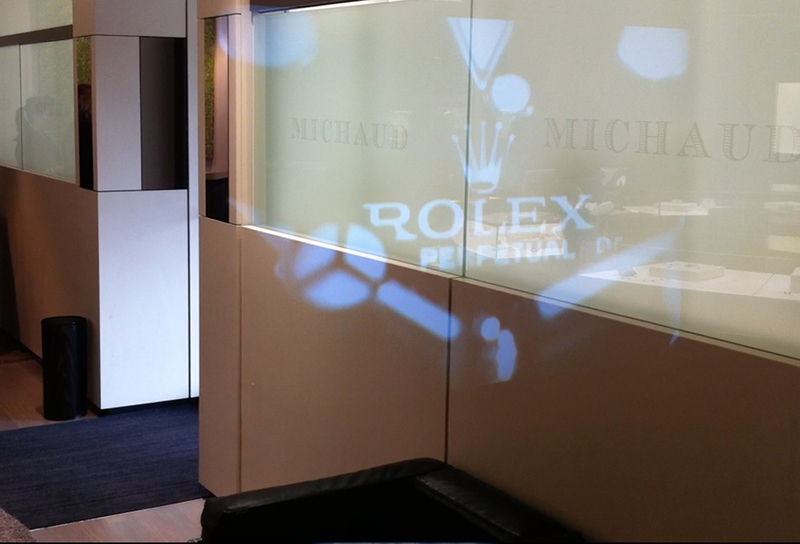 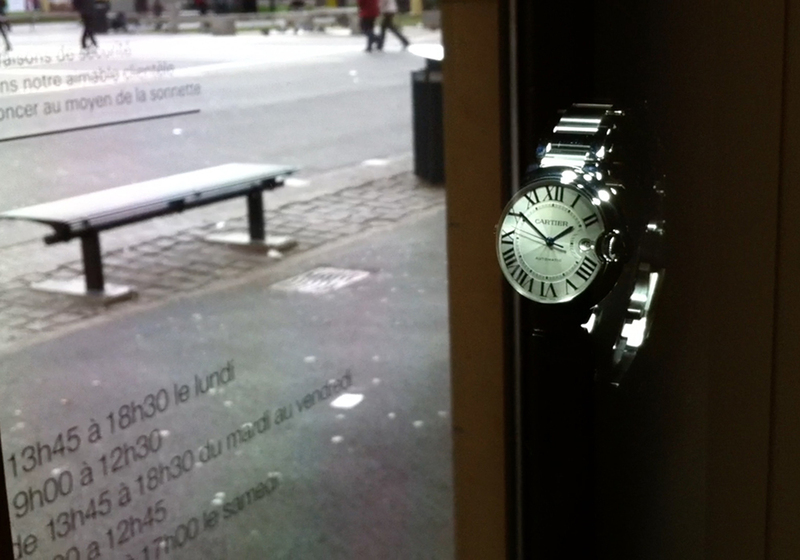 Boutique Michaud Neuchatel uses spy glass. 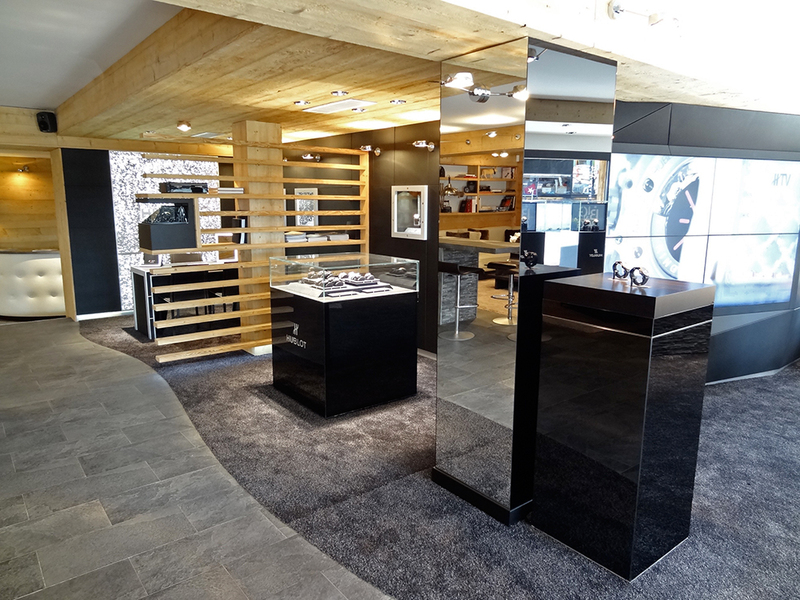 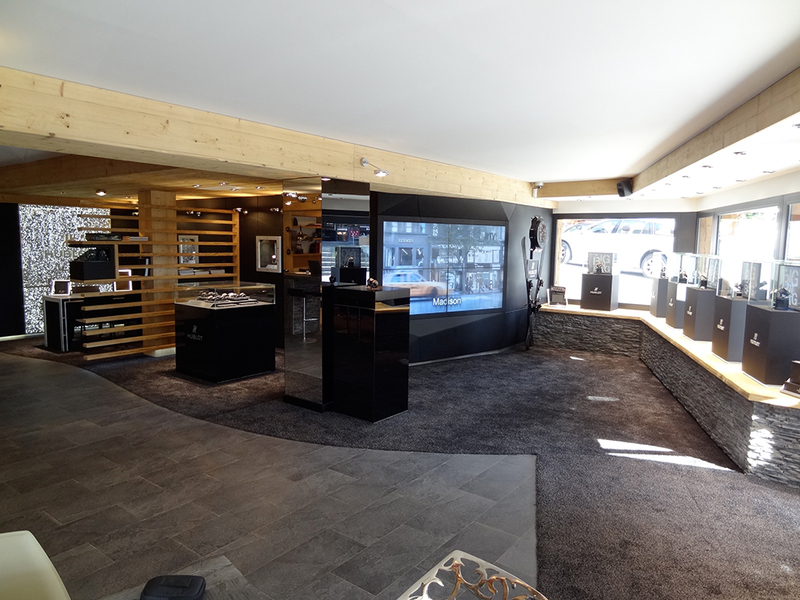 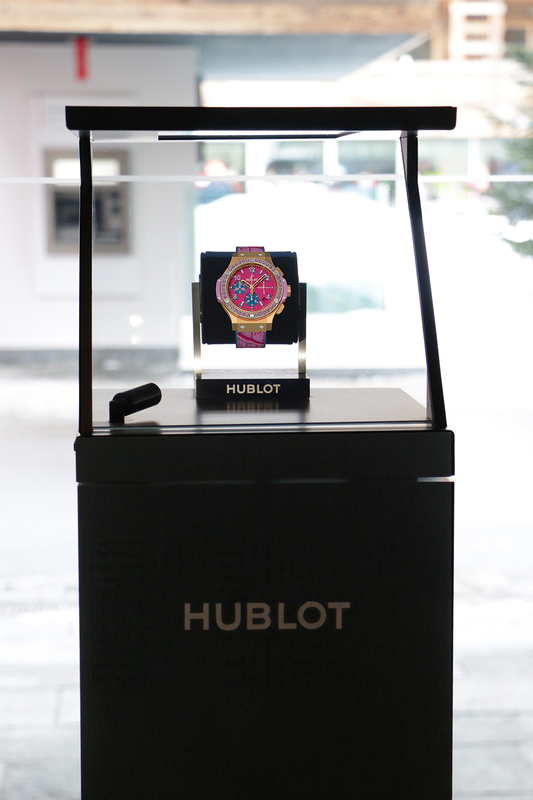 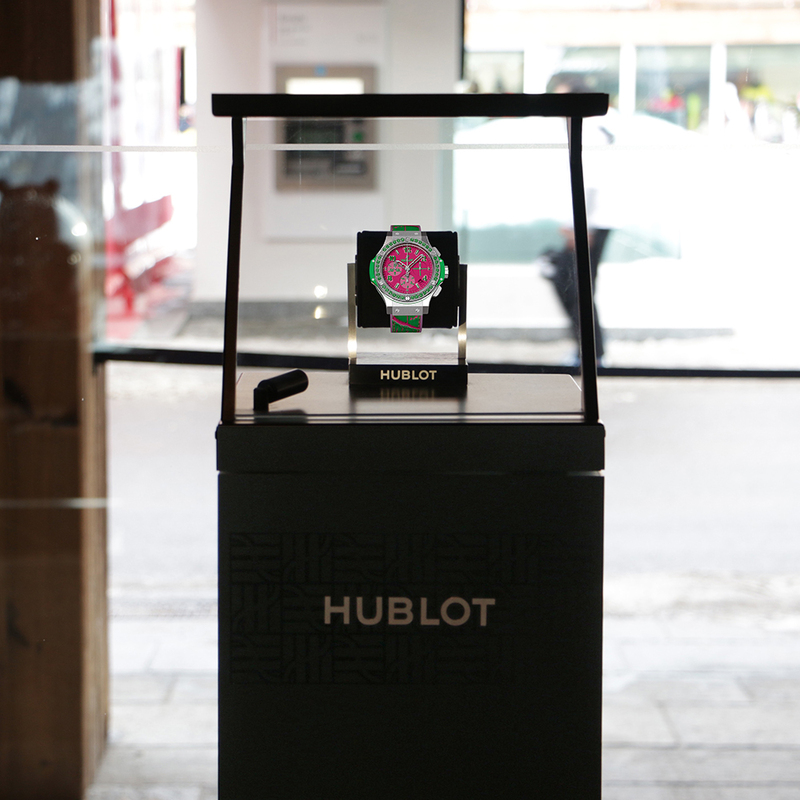 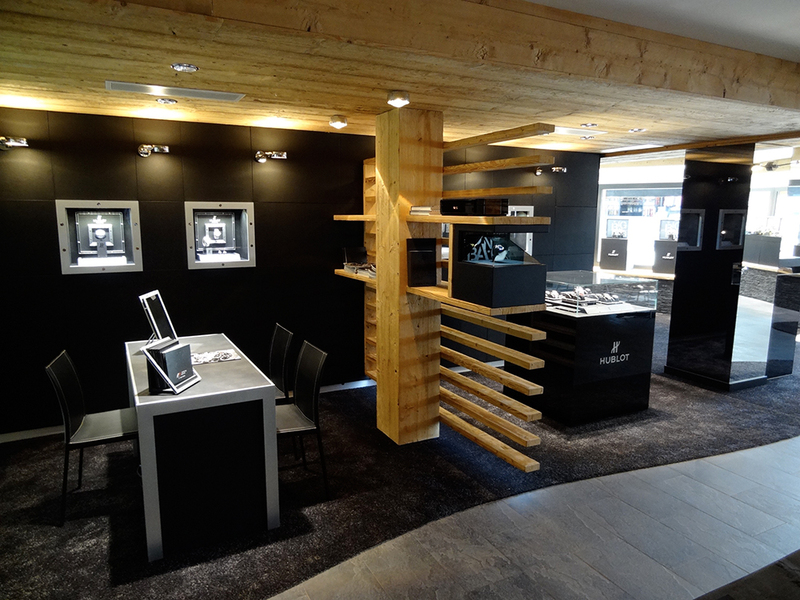 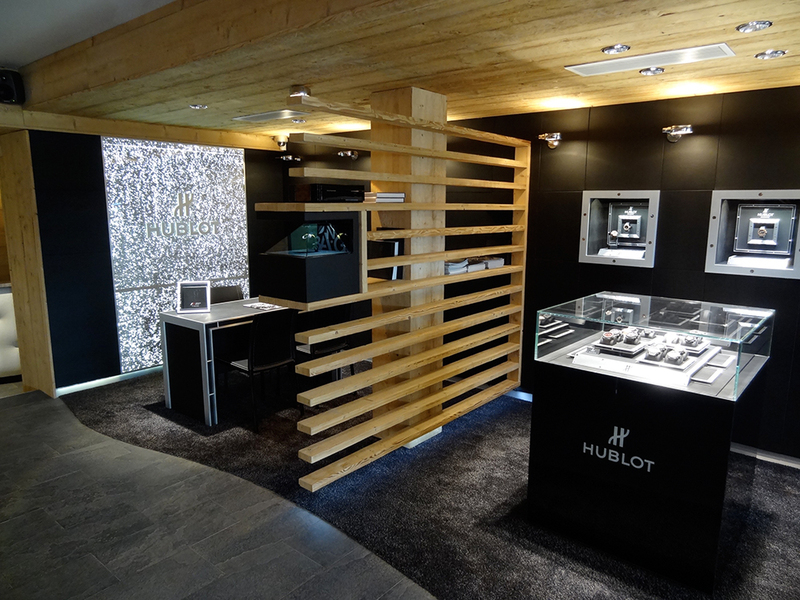 Hublot opens a new boutique in collaboration with Michaud in Verbier. 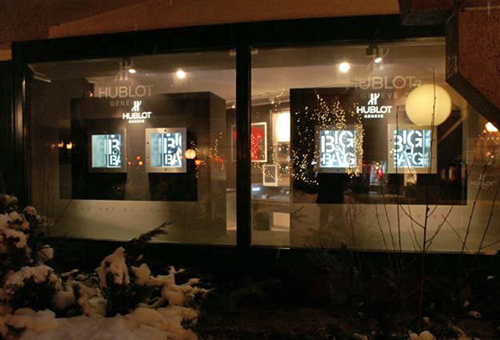 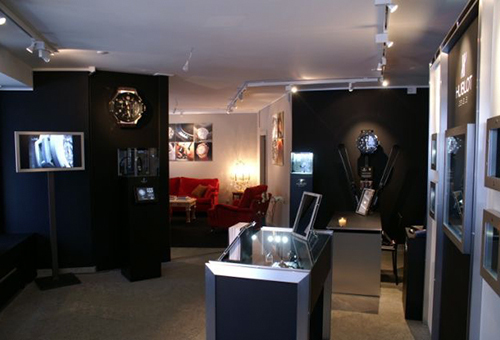 Hublot opens a new boutique in collaboration with Michaud in Verbier (2008).